Tammy365: How Deep is your Love? Ahhhh! 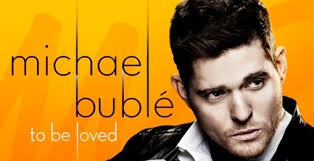 Michael Buble's new album "To Be Loved"! Everyone wants to be loved. Sloane loves Michael Buble'. She bought the new album last week. The cover song "To Love Somebody" is a remake of the 1967 Barry Gibb song sung by The Bee Gees. Listen to it here. Listen to it 3 or 4 times, feel it! While I was listening to his version of the song, I felt what Barry Gibb wrote "I live and breathe for you". My heart melted and I couldn't hold back my tears. I'm so lucky, fortunate, blessed or whatever you want to call it to have someone that I love this much and he loves me, unconditionally. I don't have to be the prettiest or skinniest woman or have the longest legs. Know why? Because he loves me and I love him. I text him a little message that said "You don't know what it's like to love somebody the way I love you." He sweetly replied "I feel it every day. I love you!" He always knows what to say. This week I still pondered the song. I imagined God saying to his people, each and every one of us, individually, "You don't know what it's like to love somebody the way I love you." What a thought! Jesus lives for us and gives us breath. He so loved us that he gave his only begotten son, John 3:16. The Bible speaks of "unfeigned" love. By definition, it's a love that is genuine, sincere, honest, true, real and unaffected. Do you have love like God? A love that is so genuine, so sincere, so honest and so real that it is unaffected by circumstance, anger or selfishness? A true love? The Bible isn't talking about a romantic love but rather unfeigned love for your fellow man. Now do you have it?